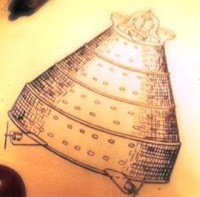 Ancient VIMANA UFO revelations and the ten million year old secret! Dark Journalist Daniel Liszt interviews the influential author of Forbidden Archaeology Michael Cremo on his controversial research into the dating of human origin, ancient civilizations and the potential widespread impact of Extraterrestrial cultures on human development. Cremo's diligent investigation into the subject of Prehistory turned up a series of anomalies that strongly suggest a much older date for the advent of humanity, including finely manufactured spheres uncovered in South Africa that date all the way back to a staggering two billion years! Cremo strongly disagrees with mainstream scientific and archaeological assertions that human beings got their primitive start as cave dwellers around 200,000 B.C. and have only had relatively high culture for six thousand years. He has catalogued shocking artifacts and physical evidence for over two decades that show not only was there an advanced pre-diluvian culture that existed far before recorded history, but that it was predated by 10 million years by the legacy of a sophisticated human society. He sees a massive cover up in scientific circles as their focus has steadily moved towards a limited scientific materialism in the last two hundred years. 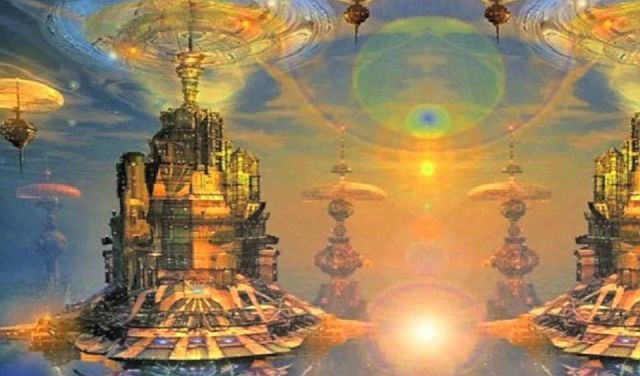 The UFO Enigma and Ancient Sanskrit Accounts of Vimanas. Cremo has pieced together from early Sanskrit accounts the devastating impact of a high tech flying machine that existed in antiquity called a 'Vimana' by the ancients. According to the Ramayana and other Sanskrit accounts, vimanas were capable of projecting themselves into multiple places at once, in what today could be described as quantum super positions. They were thereby impossible to defend against. This fascinating flying marvel was responsible for the devastation of Dwarka, an ancient paradise that resembles Plato's description of the legendary Atlantis. The striking similarity between modern day UFO Sightings and the detailed ancient descriptions of the Vimana lets us know that whatever the UFO Phenomena represents it has been with humanity for a very long time.